When it comes to health/snack/energy bars, the Englishman and I have our staples. 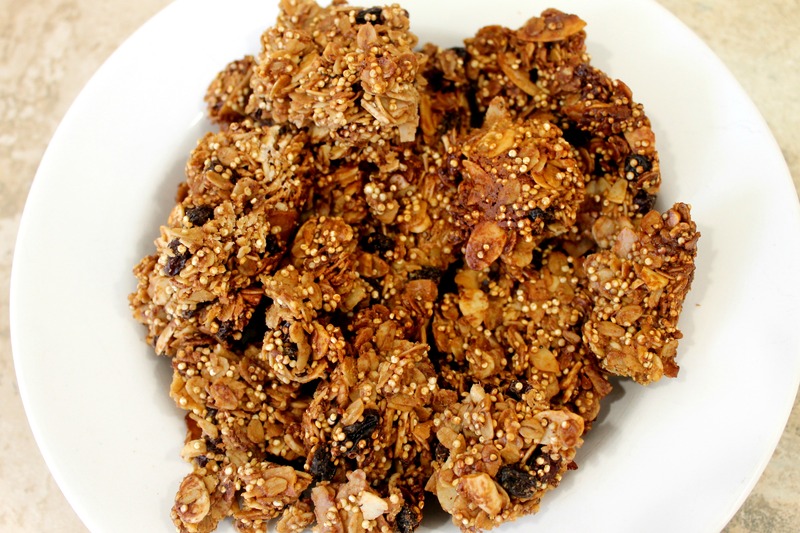 Me Like Bars, Larabar, and Health Warrior Chia Bars can always be found in our pantry. The Englishman has had some early mornings at work recently, and I wanted to create a bar for him to take on the road for the mornings he doesn’t have time to sit down at home and have breakfast. 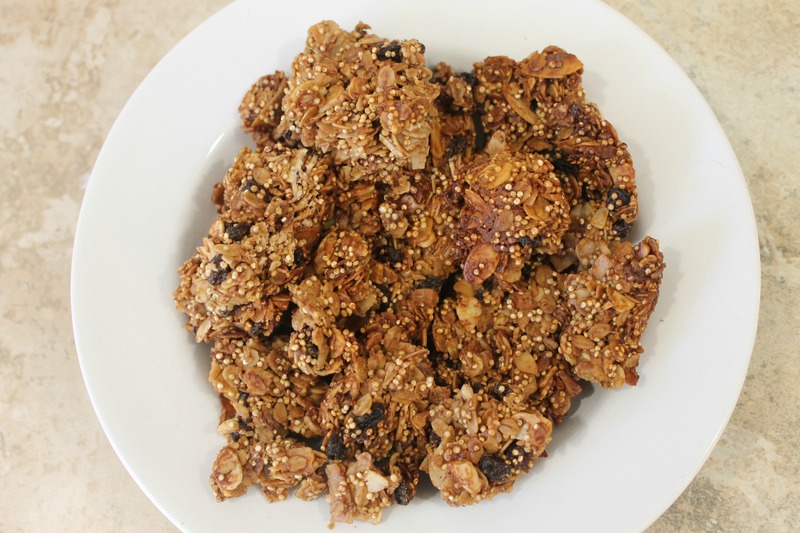 Enter these gluten-free breakfast bars. This recipe is part of the 2015 cookbook challenge, and is brought to you by Thug Kitchen. I’ll admit I tweaked the recipe a bit (I used honey instead of maple syrup so it’s NOT vegan), but the base of quinoa and oats remained the same. We happen to have an abundance of quinoa in our house at the moment so this recipe worked out perfectly. The great thing about these bars is you can customize them to your preferences. Don’t like raisins? Swap in dried cranberries. Almonds not your thing? Try pumpkin seeds and sunflower seeds. I do recommend keeping in the chocolate chips because chocolate is just awesome. If you are looking for something quick to throw together and have on hand for the week, then this recipe is for you. Chances are you already have all the ingredients in your house. Preheat your oven to 350F. Line a baking dish with parchment paper. In a skillet over low heat toast your oats and quinoa (should take about 3-5 minutes). While your oats and quinoa are toasting, pull together all of your dry ingredients into a large mixing bowl. Add the toasted oats and quinoa and blend well. Put your peanut butter, olive oil and honey in a sauce pan over medium heat and simmer until the mixture is melted. 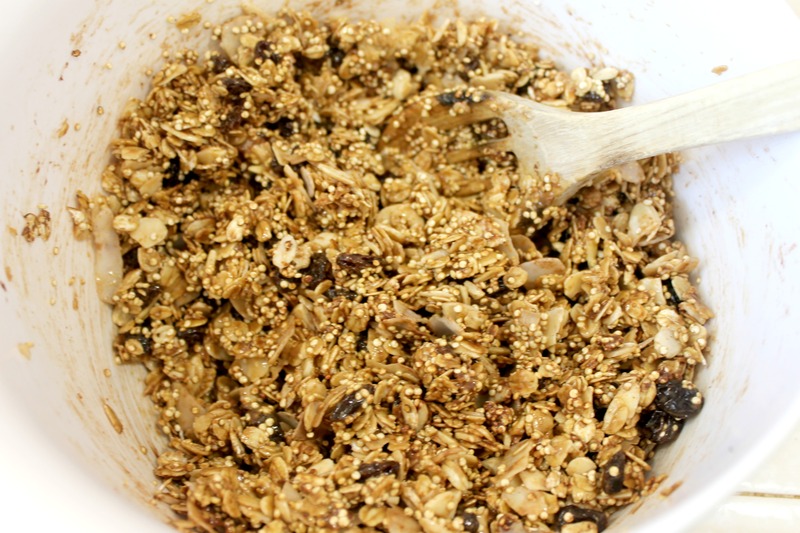 Fold the wet mixture into the dry ingredients and continue to mix well. Pour your mixture into the baking dish and bake in the oven for 30 minutes. Remove and let the mixture cool before placing in the fridge. 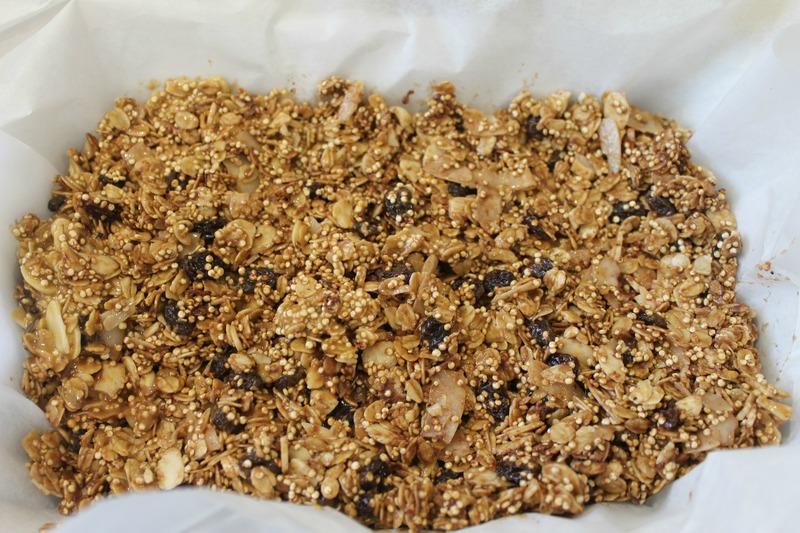 Once the mixture has firmed up, cut into bars or squares and enjoy! This entry was posted in Baking, Best Of, Cooking and tagged 2015 cookbook challenge, bars, breakfast on March 13, 2015 by allie@sweetpotatobites.